SANTA ANA, California – A federal jury today convicted former professional baseball player Douglas DeCinces of insider trading charges for using non-public information to purchase stock in an Orange County company in transactions that netted him $1.3 million in profits. ANAHEIM, Calif. (September 10, 2015) The City of Anaheim is alerting commuters of increased traffic tomorrow evening, Sept. 11, near Angel Stadium of Anaheim and Honda Center. A 43-year-old Huntington Beach man is in critical condition after he was attacked Friday night by three men in the Angel Stadium parking lot, Anaheim police said, according to the OC Register. At about 10:30 p.m. Friday, witnesses flagged down Anaheim police officers who were patrolling the game and alerted them of the altercation, said Anaheim police Lt. Bob Dunn, according to CBS News. 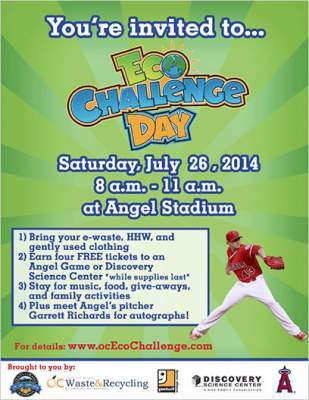 Give blood and get two vouchers for Angels games! In case you haven’t made your appointment yet…It’s that time again- when UC Irvine Healthcare teams up with Angels Baseball for a series of summer blood drives. The blood drives begin June 19 and run throughout the summer. All donors will receive two Angels vouchers which can be exchanged at the box office for two free game tickets. 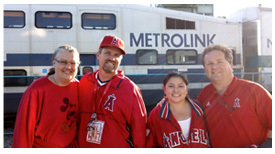 The UC Irvine bloodmobile will be parked at Angels Stadium between 8am-2pm on blood drive dates. In addition to this location, you can also donate and get your Angels tickets at our blood donor center located on UC Irvine campus now and throughout the summer, while tickets last. The campus donor center is open Monday-Friday with later hours available on Wednesdays & Thursdays. This is also a convenient location for those of you in south OC. The Los Angeles Angels of Irvine? Now, if you’re a member of the torpedo-the-Angels-negotiations claque, clear your mind and repeat after me: The Angels have nowhere to go. The Angels have nowhere (sic), The Angels have nowhere to go.